Confession is a place of victory. So don’t live as a slave anymore…you were made for so much more. You ARE so much more: You are His. Several priests will be available to hear Confessions, there will be Eucharist Adoration and music as well. If you are unable to make it then, talk to Father Mike to set up an appointment, or come 1/2 hour before the Masses during the week! Does even just the idea of going to Confession make you wary? 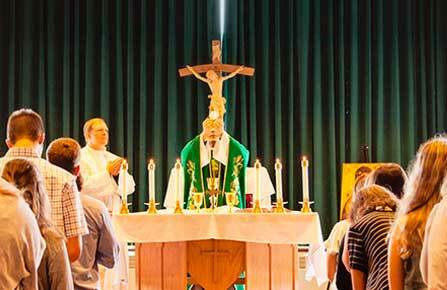 Read about it from a priest’s perspective by clicking here.